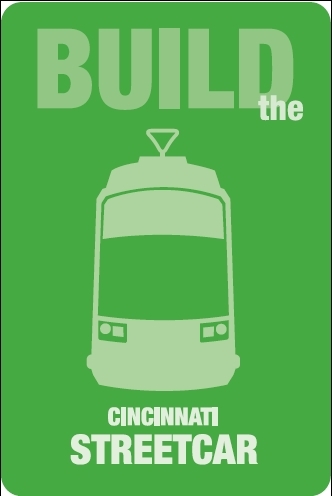 Cincystreetcar.com now has “Build the Streetcar” window decals available for local businesses. Printed by Decal Impressions in Over-the-Rhine, these re-stickable window clings can be applied to any glass surface and are avaiable to any local business that would like to display one of the 4″ by 6″ decals. If you would like to request a decal, please email info@cincystreetcar.com with your contact information and one will be delivered to your business. We are at Findlay Market Tues.-Sun. or it’s ok to mail the decal to us at 536 Clemray Drive, Cincinnati, OH 45231. Thanks!